Hit up Sam at SQ, guarantee he can answer this question for you. Topic: To weld the moonroof or not......that is the question. Re: To weld the moonroof or not......that is the question. replace the whole panel with a non sunroof panel from another car! Yup! carrier can house both , axles just have to match the diff! Parts are everywhere for these cars... What are you looking for specifically? I have extended lug studs from the front wheel assembly I got from my parts car. Can i use them on my rear? Plan on using a slim, slip on spacer. lugs are a good 1" longer than stock. Will probably use 25mm spacers. Check for the grounding on your injector resistor box. Or the box itself. Sounds like your running off of you cold start only. Topic: DIY USDM Front Lip? Re: DIY USDM Front Lip? How thick are the wheel spacers? Not too sure... but is 4k about when VVT activates? I've heard of people using mini cooper rotors for the FC Brake set-up.. might save you time from drilling? Lost the tvis plate. It will only restrict flow. I'm surprised you guys can get your fill bolt off! Mine and a lot of my friends are frozen. That bolt is so shallow and strips easily as well. I remember your original post back in the day. Best way is to weld a small plate behind and smooth out with bondo. Good Luck. 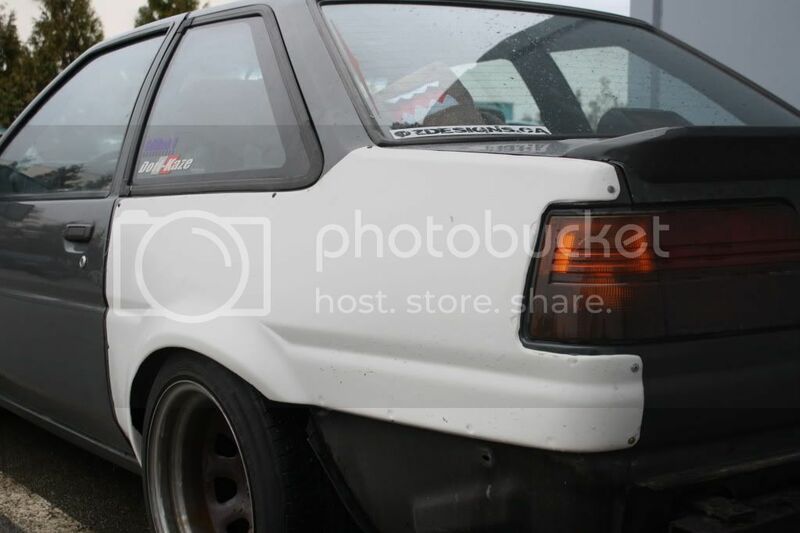 that $1600 Engine for sale also wont be anywhere near 140whp though. If you're going to pay $1600, you myswell have one rebuilt. You won't spend THAT much more and you'll know exactly what is going into it.